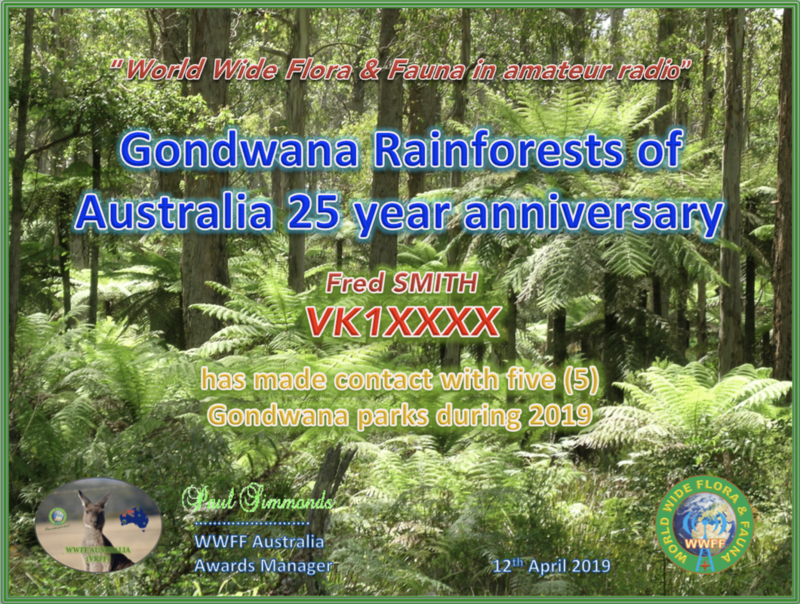 Celebrate the 25th anniversary of the Gondwana Rainforests of Australia, with the Gondwana Parks Award. ​The award will only be available during 2019. For activators, 10 QSOs must be obtained from the park (the normal VKFF threshold). There are 28 qualifying Gondwana parks in New South Wales, and 6 qualifying Gondwana parks in Queensland. The image featured on the certificate is tree ferns in the Werrimbe National Park.